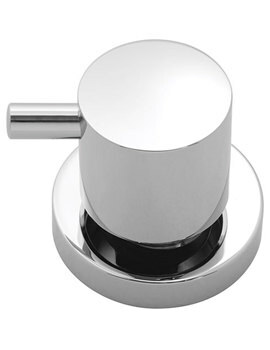 The Vado Element Concealed 1 outlet 2 Handle Thermostatic Shower Valve is a chic and stylish chrome-finished unit that brings a modern and contemporary look to any shower stall or area. 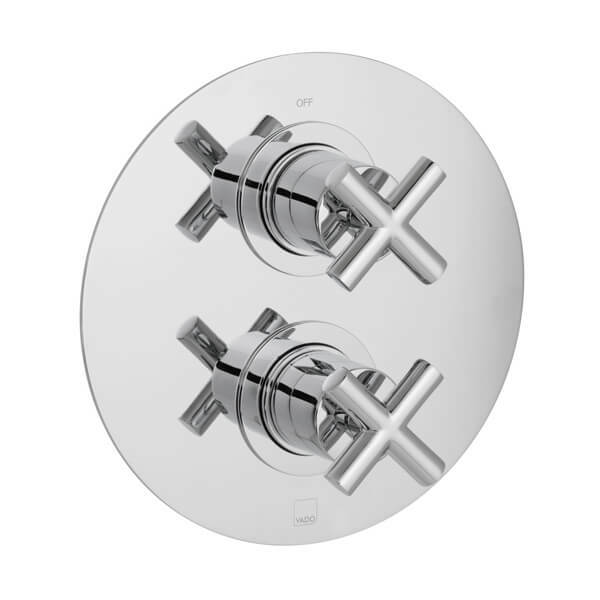 Complete with a thermostatic cartridge, a bleed valve to flush after installation is done; this product is created for wall-mounted installation and includes a perfectly circular backplate along with it for a stylish look. 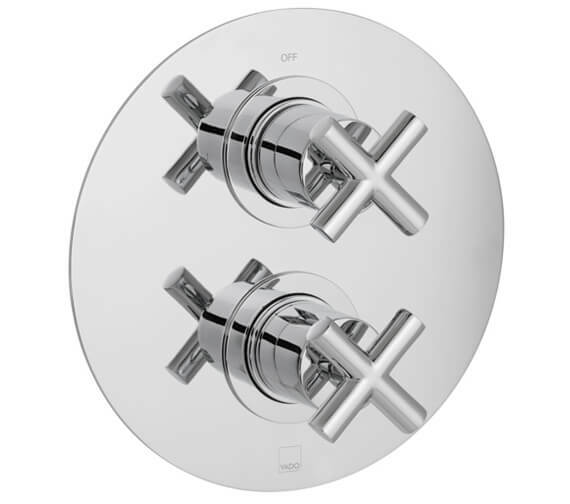 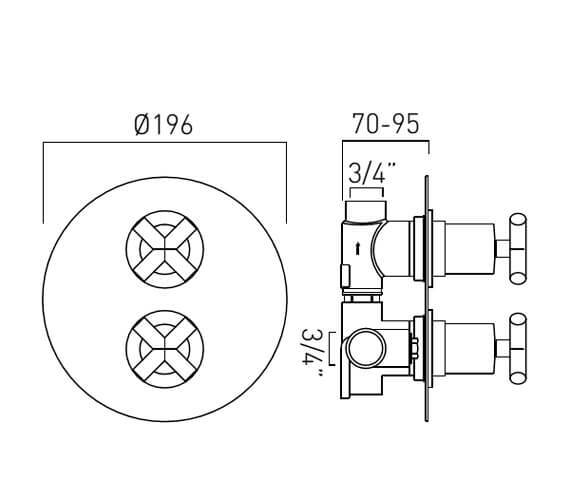 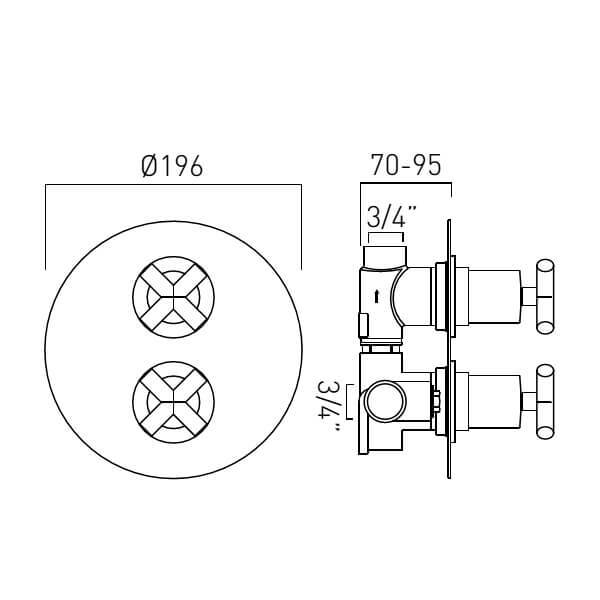 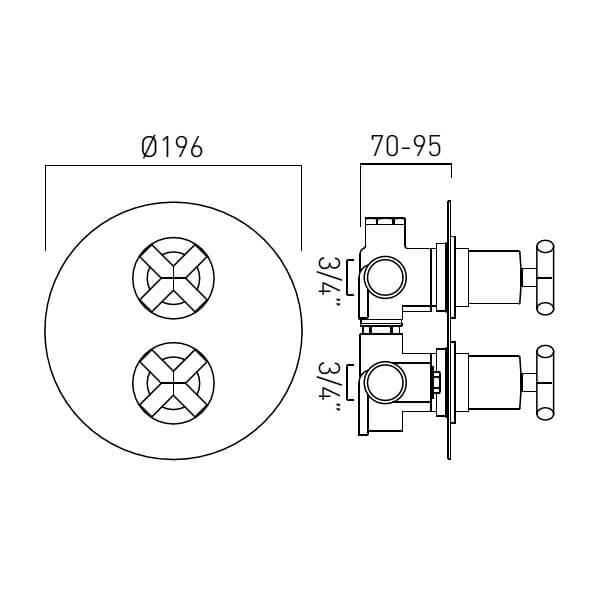 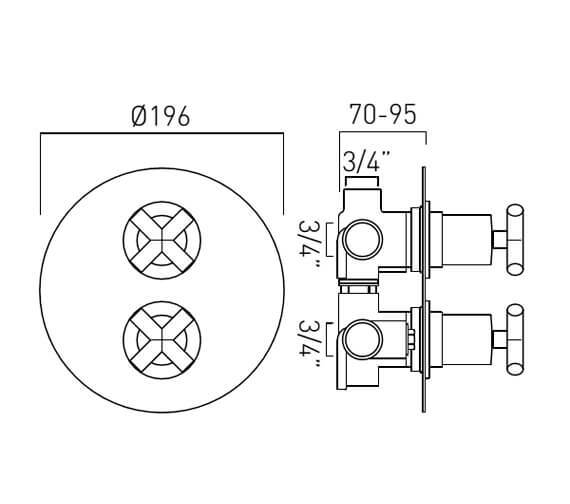 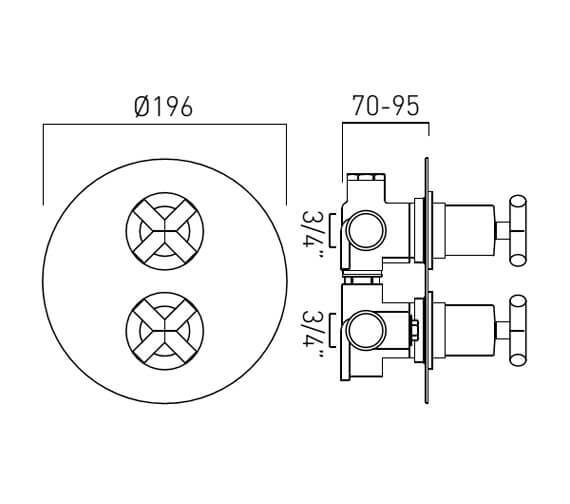 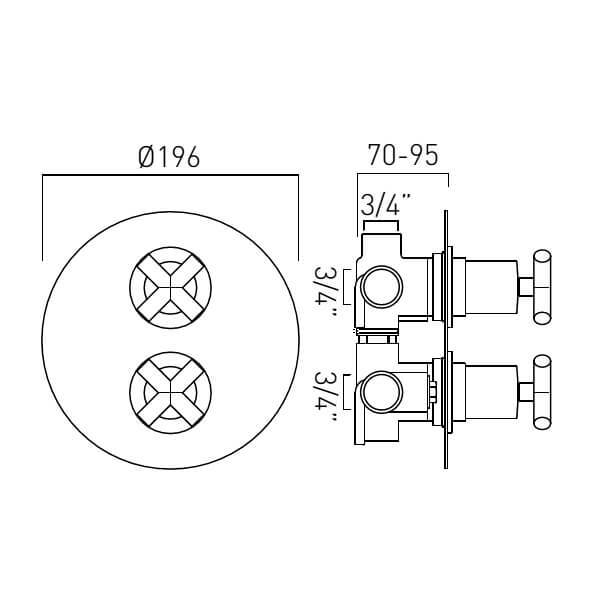 Requiring a minimum operating pressure of 0.2 bar to the shower outlet and 1 bar to the bath outlet, this amazingly unique unit is available in three possible configurations to best fit the shower its included in.